This guide is designed for those hosting or helping on Alpha. It corresponds with training videos and provides notes for each session of Alpha to assist you leading the small group time. Why & How Do I Pray? 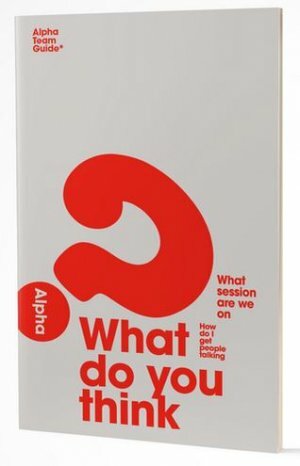 Alpha looks at these and other questions, providing a practical introduction to the Christian faith. This guide runs alongside Alpha, highlighting the main points and giving space for notes. Over 15 sessions, Alpha helps guests explore the meaning of life, revealing that Christianity can be every bit as relevant to life today as it was 2,000 years ago. Alpha Team Guide by Gumbel, Nicky was published by Alpha in September 2016 and is our 377th best seller. The ISBN for Alpha Team Guide is 9781909309739. Be the first to review Alpha Team Guide! Got a question? No problem! Just click here to ask us about Alpha Team Guide.